Teams at Tohoku Gakuin, Tsutsujigaoka, Sendai, in 2017. SAN FRANCISCO – The Japanese Cultural and Community Center of Northern California (the Center/JCCCNC) is seeking applicants for its 2019 Shinzen USA Nikkei Youth Goodwill Program (Shinzen Program). The Shinzen Program brings youth from the San Francisco Bay Area and youth from Japan together for an international exchange of culture and camaraderie. Youth participants in the 2019 Shinzen Program will be provided the opportunity to learn about their culture and heritage both here in the Bay Area through pre-trip workshops and then through their first-hand experience traveling to Japan next July. Shinzen participants Amanda Joo and Aya Nogami in 2009. Through spirited basketball games, youth exchanges, a traditional farming stay and homestays, the young ambassadors begin to build stronger relationships with the people of Japan. The Center has organized U.S.-Japan youth cultural exchange programs for over 20 years, with the first being the inaugural 1997 Shinzen Program. 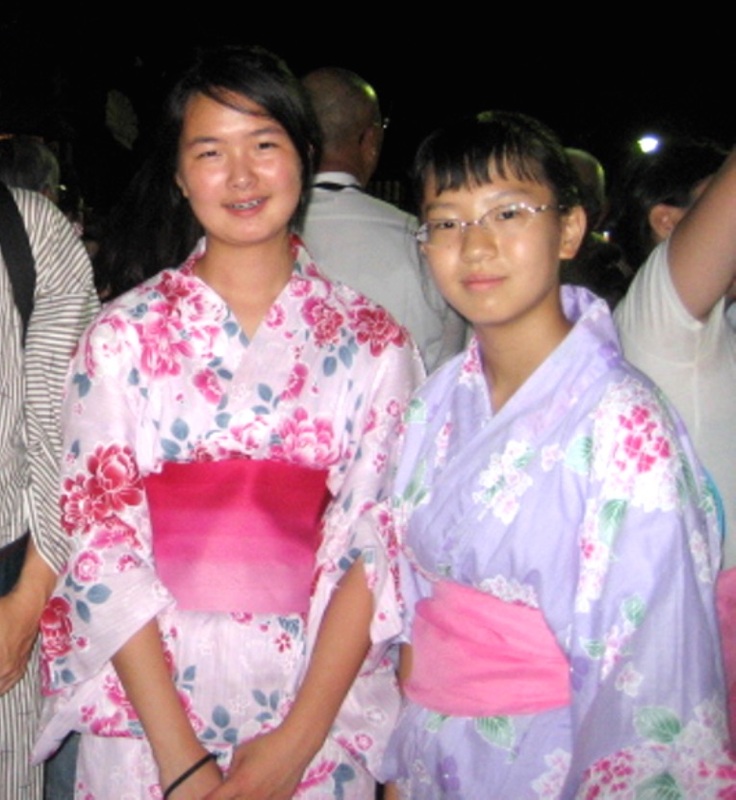 Amanda and three generations of her family traveled to Japan that summer. As 2019 Shinzen participants, the youth, along with their families, will participate in community events as volunteers, host a fundraising event, and spend the summer months participating in cultural workshops, learning about Japan, practicing basketball and spending time together as a group in preparation for their journey to Japan next summer. While the primary beneficiaries of the Shinzen Program are its youth participants, the families of Shinzen youth are also afforded a unique opportunity to benefit from the enriching cultural activities, both locally and while traveling in Japan. The dedicated effort of Shinzen families plays a critical role in the success of the program as they learn about past generations of Japanese Americans, their struggles and triumphs, to the customs and traditions that they have passed down. One of the goals of the program is to engage both the players and their families to take an active role in the community, as well as the program, to help continue to share the community’s rich history and heritage and further their role in U.S.-Japan relations. The Shinzen USA Committee is looking for boys and girls (currently in the 7th-9th grade whose birthdate is between Jan. 1, 2004 and Dec. 31, 2006) and their families that are interested in learning more about Japanese/Japanese American culture, traditions and heritage. Applications are due by Friday, Jan. 4, 2019. In the event that response is not as high as expected, consideration may be extended to include those born as early as July 1, 2003 (10th grade). For more information on the Shinzen Program or a 2019 application, contact Lori Matoba at (415) 567-5505 x226 or visit www.jcccnc.org.